53. גַּם אֶת הָעֹלָם נָתַן בְּלִבָּם – כָּל הָעוֹלָם וְכָל מַעֲשֵׂי הָעוֹלָם אֵינָם אֶלָּא בִּרְצוֹן הַלֵּב, כְּשֶׁעוֹלֶה בִרְצוֹן [הַלֵּב, וּכְשֶׁעוֹלֶה בִרְצוֹן] הָאָדָם. אַשְׁרֵי הַצַּדִּיקִים שֶׁמּוֹשְׁכִים מַעֲשִׂים טוֹבִים לְהֵיטִיב לָהֶם וּלְכָל הָעוֹלָם, וְהֵם יוֹדְעִים לְהִתְדַּבֵּק בְּעֵת שָׁלוֹם, וּבְכֹחַ הַצְּדָקָה שֶׁעוֹשִׂים לְמַטָּה הֵם מוֹשְׁכִים אוֹתָהּ הַדַּרְגָּה שֶׁנִּקְרֵאת כֹּל, לְהָאִיר בְּעִתּוֹ. 54. אוֹי לָרְשָׁעִים שֶׁאֵין יוֹדְעִים הָעֵת שֶׁל אוֹתוֹ מַעֲשֶׂה וְלֹא מַשְׁגִּיחִים לַעֲשׂוֹת מַעֲשֵׂיהֶם בָּעוֹלָם עַל הַתִּקּוּן שֶׁצָּרִיךְ לָעוֹלָם וּלְתַקֵּן הַמַּעֲשֶׂה בְּאוֹתָהּ הַדַּרְגָּה שֶׁרְאוּיָה לוֹ. מָה הַטַּעַם? מִשּׁוּם שֶׁלֹּא יוֹדְעִים. Every action in this world is controlled by Holy One Blessed be He. There’s an appointed angel for the specific action on a specific level. It is for good and bad. When a person does positive actions on the Right, which have the aspects of Chassadim (kindness, sharing) then the appointed angels support him. If the actions are negative then the angels connect him to the Left side, bringing judgment and cause him to fail. Everything happens in its time as we read in Ecclesiastes 3: 1-8. 14 ‘times’ with good actions from the Right and 14 bad ‘times’ for the Left. 14 is numerically יד ‘hand’ and 28 (14+14) is כח ’force’. To have all positive times in our lives we need to follow only positive actions. Then we will have supporting angels that will direct us on the righteous path. To get to this point we need to disable the negative angels we already ‘accumulated’ around ourselves and neutralize them with good and strong positive angels. The verse above mentions ‘He has also set the world in their heart’ and the Zohar explains that the actions of the people are not connected to holiness unless the desire for it comes from the heart. Rabbi Ashlag quotes this verse as the secret that reveals the spiritual principle of consciousness with the action. ‘Acknowledge today’ is the connection to sefira of Da’at. That draws the light from Chokmah and Binah to the ‘heart’, which is Zeir Anpin, connecting heavens and earth. Without the pure consciousness, our actions below are subject to the forces of the negative-side that controls Malchut. The righteous actions have the consciousness to draw light for the world and benefit themselves for the desire to bring peace. ‘Peace’ is the state and time when the light from Yessod manifested in Malchut. The righteous use the power of Tzedakah to create vessels that draw the light from Yessod to Malchut. The wicked don’t know the ways of the spiritual system. Their actions lack the knowledge to draw light of peace that the world needs. The aspect of ‘time’ exists only in Malchut and everything related to the correction process. 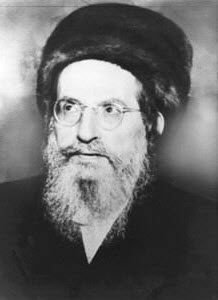 The great tzadikim are above time because they achieved complete peace with their constant connection/unification with the light. Time has only one direction because we came to this world for a process that requires us to move only forward. We need to do the work of correccion every moment with fear of losing opportunities that may pass and cause us to miss a work of a lifetime and reincarnate again.